There are three reasons your company may be using a clear poly bag as part of your packaging strategy. 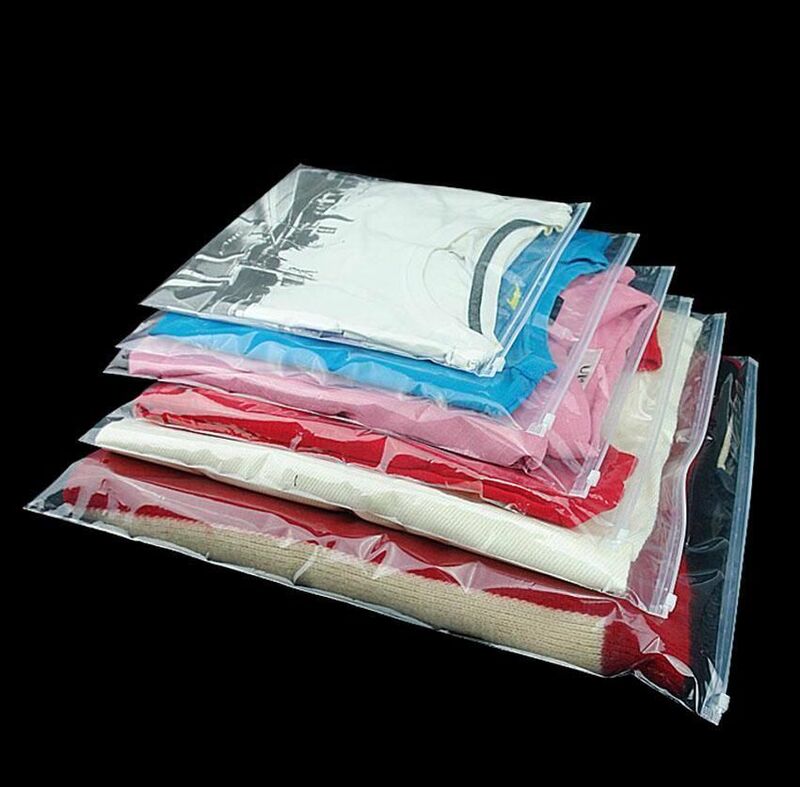 Shipping protection: Some ecommerce brands use clear poly bags primarily to provide inner protection for their products from weather, dust, or tearing in transit. Fulfillment centers: Many ecommerce companies work with third party logistics companies to store and fulfill their orders. These fulfillment centers work with many different companies and try to standardize as they can. Many of them require their clients to send merchandise individually packaged in clear poly bags. This ensures goods can be cleanly and easily received and stored, and allows third-party logistics (3PL) employees to easily and accurately identify a SKU (including size, color, etc) when fulfilling an order. Factory shipments: Many factories, particularly those overseas, have a standard practice of packaging each item produced in an individual clear poly bag. This allows items to be stored, packaged, crated and shipped to final destinations safely. If you work with manufacturing partners, chances are you are receiving items individually packaged in clear bags. Read on for ideas of alternative options to consider within each use case. Note: As outlined in Bioplastic Is Not Plastic-Free, biodegradable plastic is not a plastic-free alternative for clear poly bags. 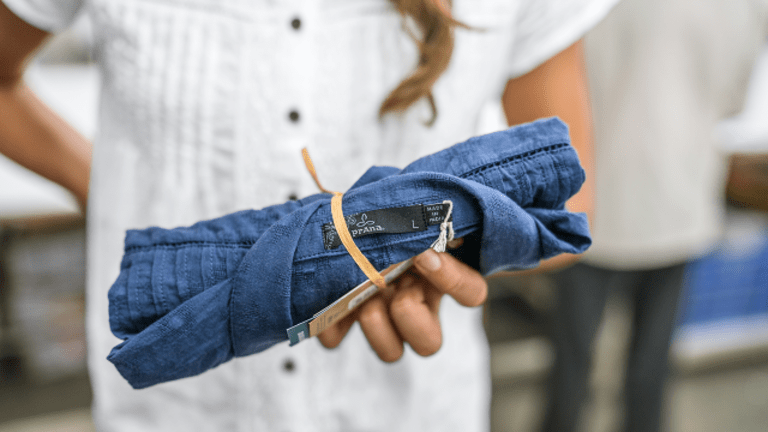 If you have made the decision to go plastic-free, we are sharing alternative options here that are made from paper and other naturally derived fibers. However, if you have come to the conclusion that you require a plastic solution, we recognize that bioplastic might be an option. If this is the case, we also encourage you to look at recycled and recyclable plastic solutions as an alternative. Additionally, we suggest finding ways to use smaller and smaller inner packaging, by folding your apparel tightly. Reducing the amount of packaging material you use (even if that material is plastic) is one of the most critical first steps in any sustainable packaging strategy. Ditch the inner protection altogether: You may realize you don't actually need the inner protection. In the vast majority of instances, packages are not exposed to weather and while they are often beat up in transit, they don't typically tear or break. Packaging paper or tissue paper: Wrap your item in one layer of packaging paper or tissue paper before putting them in their shipping package. While paper won't protect goods from weather-related issues, it does protect from dust or scratches, and adds sophistication to the overall package. Chipboard pads or corrugated pads: This is a good solution if you package something rigid and flat, like art, prints or a book. If you protect your art with a plastic bag of some sort, switch to perfectly sized corrugated pads or chipboard pads. If you work with a fulfillment center that requires clear poly bag packaging, the first step is to start a dialogue with them. Walk them through your commitment to plastic-free packaging and what kind of changes you want to make. Assess their willingness to be flexible, but also take the time to learn about their operations so you can develop a solution that actually fits into their existing processes as chances are, they won’t be able to overhaul their entire operation to serve your needs. Here are a few alternative approaches that could work, depending on your particular product set and the flexibility of your fulfillment partner. Paper banding: Tightly rolled goods that are secured by a clearly labeled paper band can work well in many contexts. First, rolling up apparel keeps it unwrinkled and fairly clean. This is also an extremely efficient way to ship and store goods. Paper bands can be used to convey SKU, images, descriptions, etc. Banding machines range in cost and size, so you should be able to find a lower end model that fits your budget to get started on this strategy. 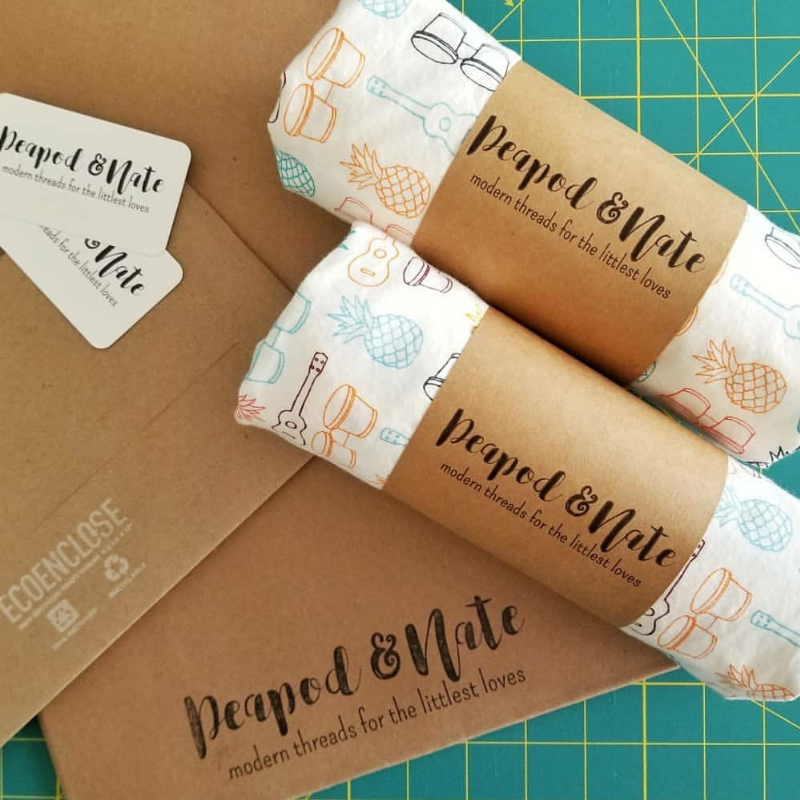 Raffia or hemp ties: Instead of using a printed paper band, you could also consider tightly folding or wrapping your goods and holding them together with fiber-based ties, and then affixing a hang tag to them. This is a more manual solution, but is one you could get started on right away as you don’t necessarily need special equipment. Paper bags: The two aforementioned solutions will leave your product at least partially exposed. If this is not an option for your products or your fulfillment partner, another alternative is a thin paper bag (similar to the kind of bag a bakery packages cookies in). The upside is that this fully encloses your product, protecting them from your facility to your 3PL partner’s warehouse to the end customer. The downside is that it fully conceals the product. You’d need to affix clearly marked labels on the bags, and even then, order pickers will likely take more time (and may make more mistakes) distinguishing between your SKUs. Note that if you are considering this option, avoid wax coated paper. Yes, this offers some moisture protection, however, it makes the paper bag non-recyclable and the vast majority of wax paper is also non-compostable. If you go down this path and decide a moisture-barrier is absolutely essential, we encourage you to look into recycled, recyclable plastic solutions instead of a lined paper solution. Lightweight mesh bags: Meshed bags that can be reused by your end customers are an interesting solution. Depending on how dense the mesh is, your product can likely be better seen and identified by pickers at your fulfillment partner. 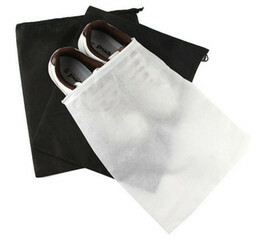 Additionally, if the bag is truly durable enough for reuse, it provides your customer with a bonus bag when they order. The downside is that often, these bags won’t be reused and since they aren’t recyclable the way that paper and plastic options are, they will inevitably end up in the landfill. Additionally, if a mesh bag is such that some of the product (i.e. the product color) can be seen through it, it means the product isn’t fully enclosed and protected. It is important to note that this process could be a time intensive one, and it may result in the decision to begin exploring new fulfillment centers (or even to move fulfillment in-house). As such, it may be important to bring team members from a variety of departments - such as operations, marketing, finance, etc - into the discussion early on to ensure you have the right voices at the table when navigating options. Looking for clear plastic bag alternatives to bring in shipments from your manufacturing partners? Transitioning this component of your packaging is likely to be the most time intensive, and may require quite a bit of testing and iteration. The first step is to talk with your manufacturing partner. And in fact, the step before this is to ensure you see your manufacturer as a true partner if you don’t already. Ideally, you’ve chosen to work with a factory that upholds and supports your corporate values, and have established a sense of trust and collaboration with them. If that isn’t the case, then take the time to do so. If you are a small company with them, consider connecting with other companies they work so the larger collective group can work with the factory with a single voice. Learn how your goods are manufactured, stored and shipped, and identify the key places where your products might be mishandled, soiled or damaged. You'll want to make sure your poly bag alternative appropriately protects your product at this points. Additionally, think through how goods move from your factory to your end consumer. Do they ship from your manufacturer directly to a third party fulfillment center? Do they come to your facility to be stored and fulfilled? Are they partially manufactured elsewhere, and then finished in your warehouse? Depending on the unique supply chain of your goods, here are a few potential alternatives to consider. Remember that this process is likely to be long and iterative. If you have made a Plastic-Free commitment, we encourage you to stick with it, and take the time to find a strategy that truly aligns with your values and works for you operationally. No individual product protection: This is the most “risky” approach, but since reducing is always preferred to finding alternative packaging, it is definitely worth exploring. Right now, you may be receiving huge shipping boxes filled with individually poly-bagged items. If this is the case, consider smaller shipping boxes that are lined with packaging paper, with your items tightly folded in it. This type of solution will work best if your manufacturer is shipping directly to your company (rather than to a 3PL), as your team can then unpack and check goods, and properly finish them for storage and fulfillment. Paper banding: As described above, tightly rolling apparel and holding it together with a strong paper band is an excellent way to store and ship goods, and makes them easy to pick. This strategy may require your manufacturer to invest in a banding machine, and will require them to appropriately train their staff. 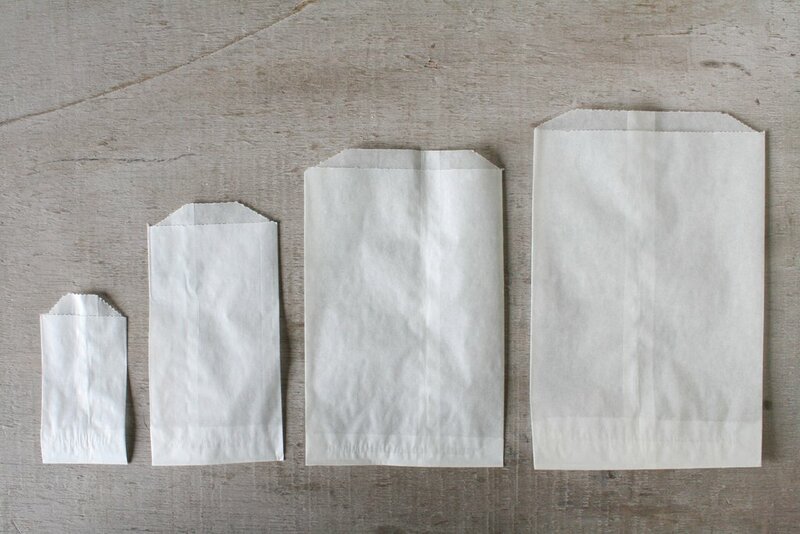 Paper bags: Paper versions of poly bags (also described above) are an interesting alternative as well. However, it is important to remember that unlike poly bags, paper will wrinkle and can tear, especially in the long and complex journey from an overseas manufacturer to your warehouse (or a 3PL) to the end consumer. Reusable sacks: We describe reusable mesh inner bags above; however, here, you could consider more robust reusable sacks that your company stores and then ships back to your manufacturer for reuse - creating a truly closed loop packaging solution. As you embark on this process, know that it may lead you to seek out new, more values-aligned manufacturers. Be ready for this level of strategic decision making, and be patient - with yourselves and your partners! Still have questions about alternatives to clear poly bags? Please feel free to contact us and we'll gladly help answer any questions you have.